The photovoltaic effect was observed as early as 1839 by Alexandre Edmund Becquerel, and was the subject of scientific inquiry through the early twentieth century. Not sure if solar is right for you? Incentives are available to go solar in New York — it’s hard to find a better investment. Contact an All Energy Solar consultant to see what incentives are available in your area. Our team of dedicated professionals is waiting to assist you with every aspect of your solar energy project, from initial site visit and permitting to incentive paperwork and complete installation. The New York State Energy Research and Development Authority (NYSERDA) through NY-Sun Incentive Program provides cash incentives for the installation of approved, grid-connected photovoltaic (PV) systems. The program was re-launched in 2014 with a goal of supporting 3.175 GW of installed capacity by 2023. The program provides cash incentives for residential solar systems that are 25 kW or less, and for small commercial systems that are 200kW or less. Small commercial sites in PSEG Long Island can apply for systems up to 500kW. The incentive program is divided into regions across the State. NY-Sun assigns a certain amount of incentives to each of the three regions. Each region is then broken into blocks that are designated an allocation of megawatts (MW) eligible for NY-Sun incentives. Incentives remain available until all blocks within a region/sector are fully subscribed. NY-Sun intends to phase out incentives within a reasonable time frame as market conditions become more favorable to solar. The MW block structure is designed to support solar markets in the areas where support is needed most, and decrease incentives as they become less necessary to a self-sustaining solar market throughout New York. Schedule a free consultation to learn how these rebates can benefit you! Enacted in August 1997, this personal income tax credit originally applied to expenditures on solar-electric (PV) equipment used on residential property. The credit, equal to 25% percent of the cost of equipment and installation, was expanded in August 2005 to include solar-thermal equipment. In New York your are entitled to claim this credit if you purchased solar energy system equipment which uses solar radiation to produce energy for heating, cooling, hot water, or electricity for residential use and the system must also be installed and used at your principal residence in New York State. 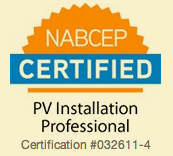 The credit is equal to 25% of your qualified solar energy system equipment expenditures and is limited to $5,000. The solar energy system equipment credit is not refundable, but any credit amount in excess of the tax due can be carried over for up to five years. In general systems must comply with the 25 kW capacity limit on residential, net-metered solar-energy systems. However, in 2007 legislation was passed increasing the capacity limit to 50 kW for condominiums and cooperative housing associations. Schedule a free consultation to learn how you can take advantage of RECs! The Solar Investment Tax Credit (ITC) reduces tax liability for individuals or businesses that purchase qualifying solar energy technologies, encouraging investment and spurring growth in solar energy.